I really enjoyed THE FOXHOLE COURT, so much so that I went out and bought this book and the final book straight after I finished it. 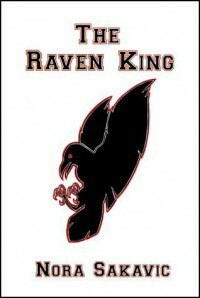 THE RAVEN KING is everything I wanted in a sequel. It ups the game and the tension, and there are a lot of revelations. Once I started I found this book very hard to put down. I had to know what was going to happen next, and I was not disappointed. Watching events play out on the page was one heck of a ride, and while the subject matter wasn’t nice or easy Sakavic kept me enthralled to the final page. If you enjoyed the first book then you will love this one too, Sakavic does not disappoint.